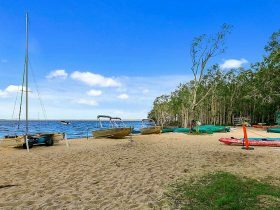 The Noosa North Shore Beach Campground is a great destination for families, retirees and fishermen, being close to Noosa but with a wilderness feel. 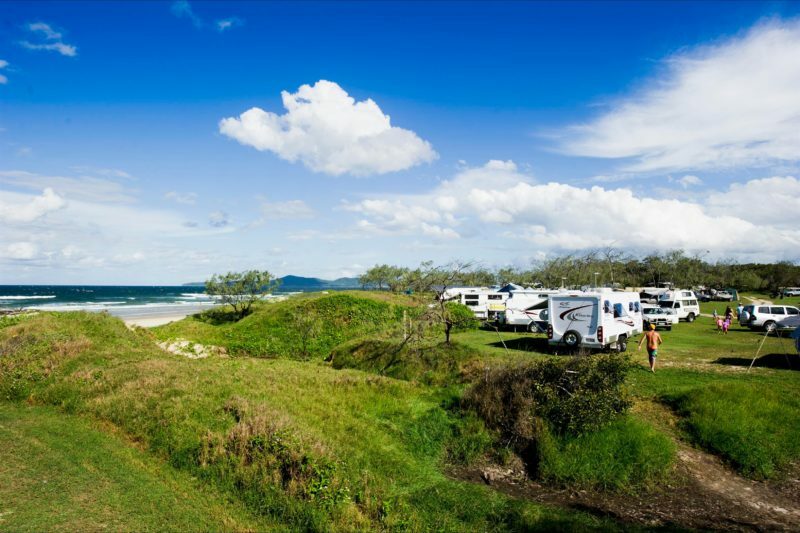 Revel in the abundance of natural flora and fauna in an untouched natural bushland setting at the sprawling Noosa North Shore Beachfront Campground situated on the picturesque Teewah Beach. 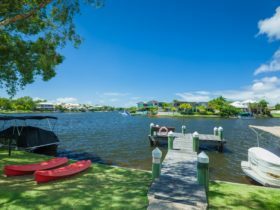 The kids will love the short vehicle ferry trip over the Noosa River before you get to the Campground adding to the holiday adventure. 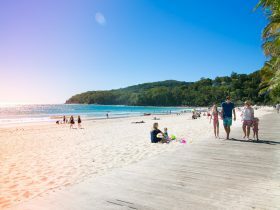 The site is a popular location for travellers with a love of camping, fishing, surfing, bushwalking, beach walking or four wheel driving which is accessible from the “third cutting” beach access a few hundred metres north of the Campground, providing a spectacular drive up the beach which stretches from Noosa up to Double Island Point, and across to Fraser Island. 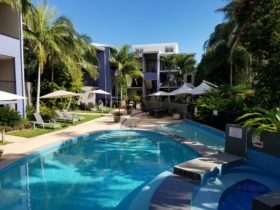 Whilst the park offers a wilderness feel, it is close enough to jump back onto the vehicle ferry to the vibrant town of Noosa, home to fabulous shops, restaurants, cafes and Noosa’s famous main beach. 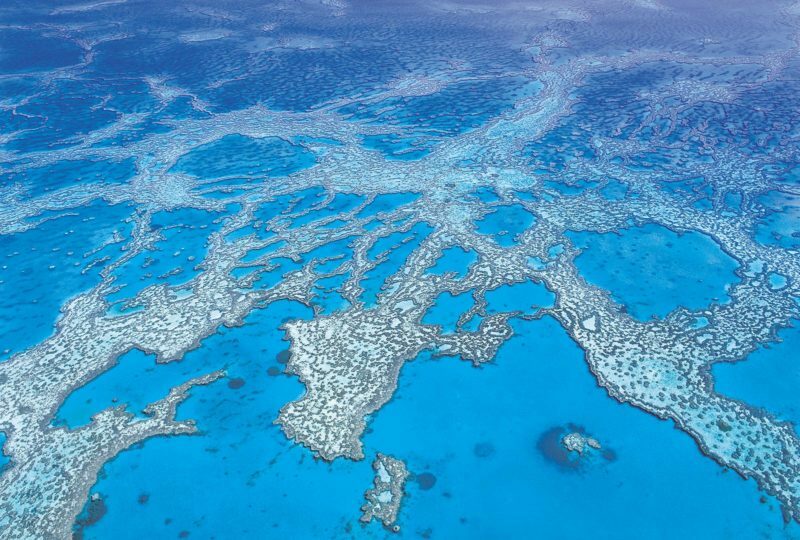 Note: They are not on Town Water, so please make arrangements for your own drinking water supply, the bore-water supply is only used for the toilets. There is eight powered sites at the campground, four in a location with trees and the other four in an open area. None of these powered site are far from the amenities building. 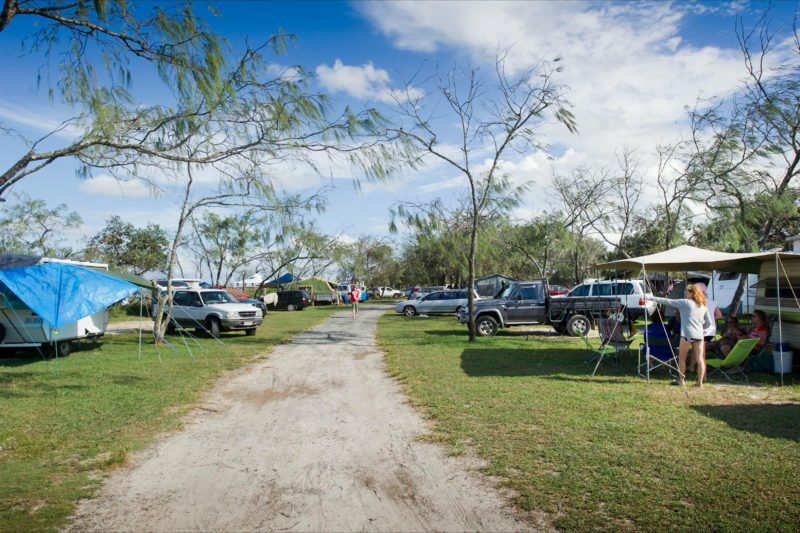 Unpowered sites are located throughout open space areas within the campground and guests are welcome to choose their site on arrival. 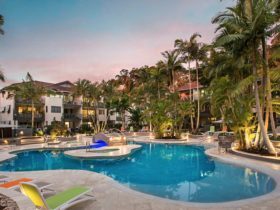 Sites are located within easy walking distance to the amenities and office/kiosk. 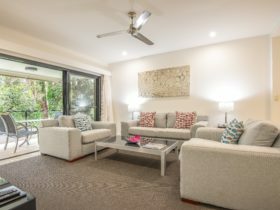 Bookings are not site specific. 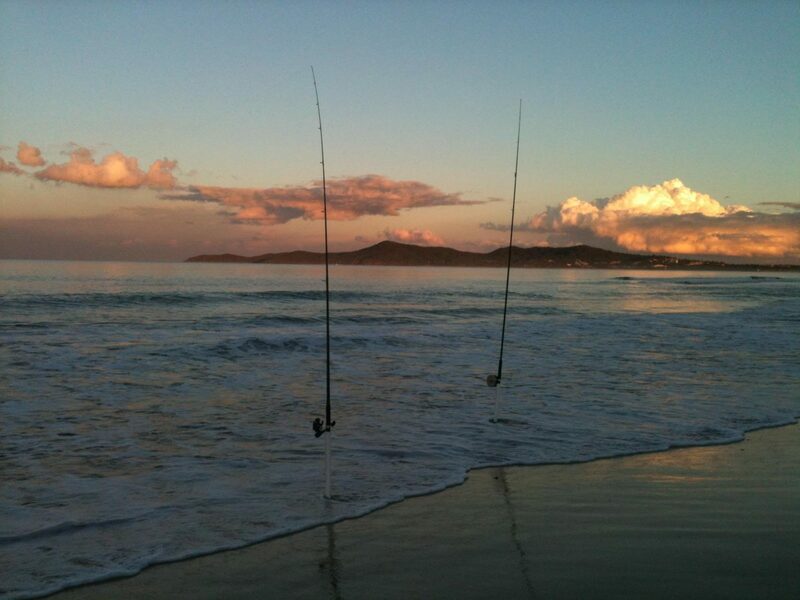 Unpowered off peak AUD30 to Peak AUD36. Powered off peak AUD38 to Peak AUD43. Please Note: Water and sullage are not supplied to any site. A dump point is provided at the site.